Many patients who undergo a tummy tuck procedure do so to achieve a slimmer, fitter waistline. Regardless of whether my patients desire to address a trouble spot or sculpt their body after weight loss, I always stress the necessity of maintaining a healthy lifestyle following the operation. This obviously begs an important question: how soon can patients return to their exercise routine after a tummy tuck? While regular exercise is obviously a very positive lifestyle choice, jumping back into a rigorous routine too quickly after a tummy tuck – or any procedure, for that matter – can make recovery more difficult. So, even though I stress the importance of getting back into an exercise routine, I also emphasize the necessity to start slow and listen to the body. Although every patient is different, I have found that providing a proposed physical activity schedule prior to the procedure is always helpful. Here, I have outlined the general activity guidelines that I give to all of my patients prior to their tummy tuck, so that they can better understand what their recovery process will look like and plan accordingly. Once the soreness has faded, light activity such as walking on a level surface can begin. This will give your patients the opportunity to get their bodies moving again and also aid in the recovery process. For those who enjoy weightlifting as part of their personal fitness routine, this activity can resume in moderation. Even after this point, light weights will need to be used to avoid aggravating the incision area. Over time, your patients can begin to add more weight and repetitions to their routines. When it comes to abdominal-specific exercises like crunches, patients will need to wait up to 6 months or more to reincorporate this activity into their exercise routine. Even though the muscle groups in the abdomen will be nearly 90% healed by this time, they need to be at 100% before being subjected to strenuous, muscle-specific exercise. Even though your tummy tuck patients may start to feel that they are well enough to resume their daily activities, it does not mean they should. I cannot express enough to patients how important it is for them to stick to these physical activity guidelines. After all, the guidelines are in place to ensure patients achieve the optimal postoperative results. Medications administered to alleviate pain after a tummy tuck can react in a person much like one too many cocktails, and this lack of coordination and muscle control can make workouts very dangerous. During a good workout, a patient’s heart rate and blood pressure increase, which can cause bleeding at the site of the operation and lead to further complications, including the potential need for reoperation or less-than-ideal tummy tuck results. Strenuous exercises like stomach crunches can damage the stomach muscles and skin closure. Once a patient has made the decision to move forward with a tummy tuck procedure, I consider the process a partnership. After I perform the procedure, it is the patient’s job to listen to his or her body, take the appropriate time to heal, and then follow the proposed physical activity schedule. By working together with our patients, we will produce surgical results that enable them to look and feel their best. Robert T. Grant, MD, MSc, FACS, is Chief of the combined Divisions of Plastic Surgery at New York-Presbyterian Hospital-Columbia University Medical Center and New York-Presbyterian Hospital-Weill Cornell Medical Center. He is also Associate Clinical Professor of Surgery in the College of Physicians and Surgeons at Columbia University and Adjunct Associate Professor of Clinical Surgery at Weill Cornell Medical College. 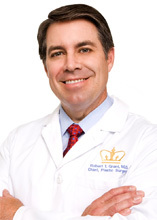 For more information about Dr. Grant or to contact him, visit his website at www.robertgrantmd.com.